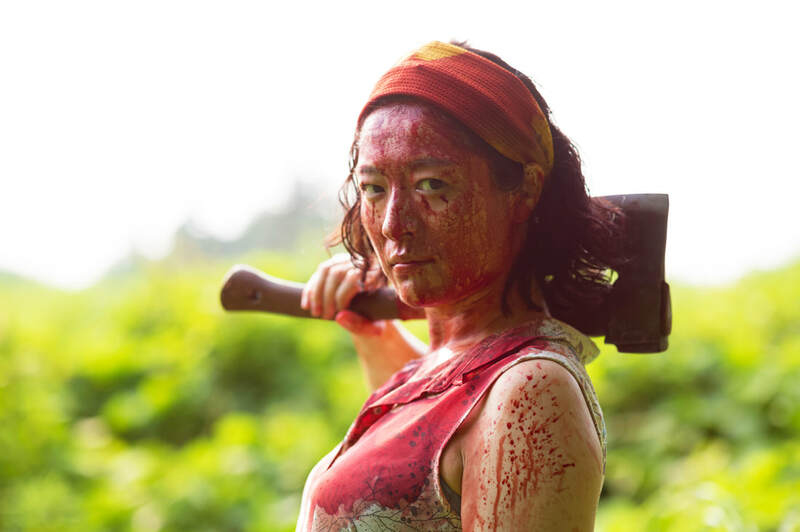 A movie review of ​ONE CUT OF THE DEAD. You know you’ve stumbled across a winning comedy when you’re still laughing days after watching. 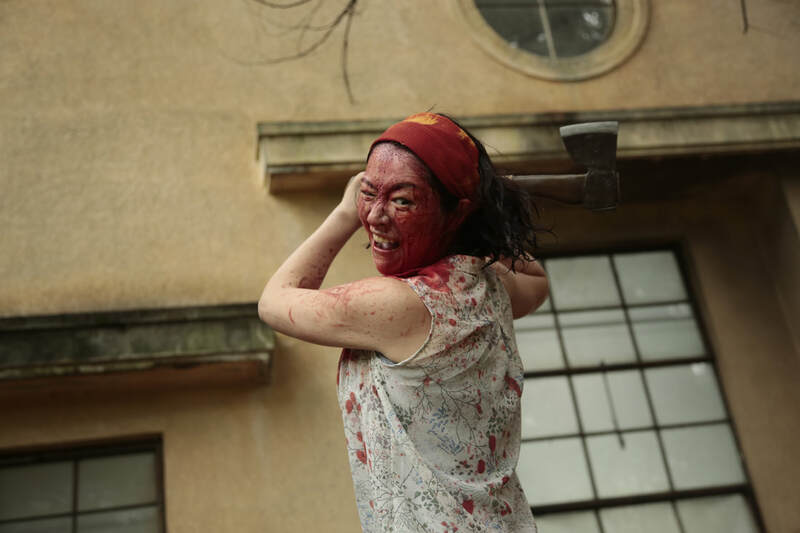 ONE CUT OF THE DEAD is one of my favourite films of the year so far. 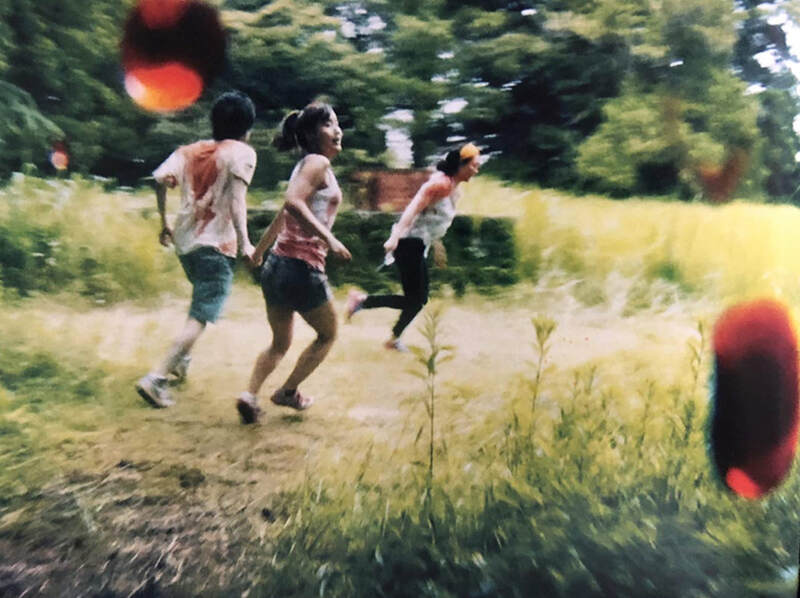 A deliriously brilliant Japanese zom-com, which leaves the overrated SHAUN OF THE DEAD (2004) in the dust. The humour is varied, from satire to the scatological. Plus, there is bravura filmmaking in abundance. ​The opening is more than just an opening. It is over a third of the entire runtime. A 37-minute single shot. Think VICTORIA (2015). Who doesn’t love that level of technical orchestration? Those 37 minutes are a film within a film, within another film. We watch as low-budget movie crew try to make a zombie flick in an eerie factory, rumoured as the venue for Geneva Convention-breaching human experimentation. On take 42, the megalomaniac director is revealed. He thinks of himself as Stanley Kubrick. A dig at those who believe suffering for art makes art. While shooting, a real undead attack unfolds. When the credits roll, you think that can’t be it. Don’t worry, the film pulls the rug from under the audience in sublime fashion. There are plenty of movies about the anguish of trying to get a film made, e.g. Or trying to put on a play, e.g. - SYNECDOCHE, NEW YORK (2008). ONE CUT OF THE DEAD is accomplished with such exuberant wit. ​What a feature debut! Just bravo to writer-director Shin'ichirô Ueda. The film skewers a multitude of targets with oodles of cheek. Beyond the world of cinema in the story’s crosshairs (method actors, star solipsism, ridiculous requests from studio commissioners, etc. ), the everyday is commented upon. Everyone can appreciate the observations on difficult colleagues and workaholism at the expense of home life. There is also the touching on of Japanese Second World War crimes. Devoid of any preachiness, the substance is seamlessly woven into the fabric of the narrative. ONE CUT OF THE DEAD’s attention to detail is something to behold. Some bizarre happenings in the first 37 minutes seem incongruous or random, but are later explained in such a way that you will be rolling around on the floor in stitches. The ending is lovely. A movie ode to teamwork, improvisation, creativity, and family.